Our favorite college football team came out of nowhere to win the SEC Championship, which meant they were headed to play for the BCS Championship in Pasadena, California. But...we had a different plan. My boys thought it would be fun to go to Auburn to watch the game with a bunch of their friends, so that is just what we did. My friend, Teresa and I loaded up two SUVs with 7 teenage boys and all their luggage and headed south to the Loveliest Village on the Plains. The boys had a great time and would have had an even better time if their team had won the championship, but, alas...that is the way it goes in college football and in life...you win some and you lose some. We are proud of our Auburn Tigers anyway. They played a heck of a game and had a phenomenal season. Secondly, the prices were reasonable. This is important when you are feeding a bunch of teenage boys. Finally, there was a wide selection of interesting food options to choose from and they didn't sound ridiculously fancy or pretentious, also important when choosing a restaurant for teenagers. I was impressed with the decor. The whitewashed, wide-plank barn wood walls and the natural elements made the interior welcoming and relaxing. The restaurant had lots of natural light from the many large windows and high ceilings. We sat at a heavy wooden table with wooden benches for seats. Our table was located near the kitchen where we could see dishes as they were brought out. We started out with some homemade pimento cheese and chips. It was so good...or at least I think it was! The boys snatched it up pretty quick and after that I didn't get anymore, but my one or two bites were really good! Several of the guys ordered the Half Pound Brisket Burger with Charcoal Onion Jam, Crispy Pork Belly, Arugula, and Wright Dairy White Cheddar on a Brioche Bun. The guys took this picture, so you can't really see just how thick and juicy the meat on the burger was, but it was probably a good inch and a half thick. This burger was a big hit! Most of them got the burger with a side of fries, but some of them opted for the homemade potato salad. 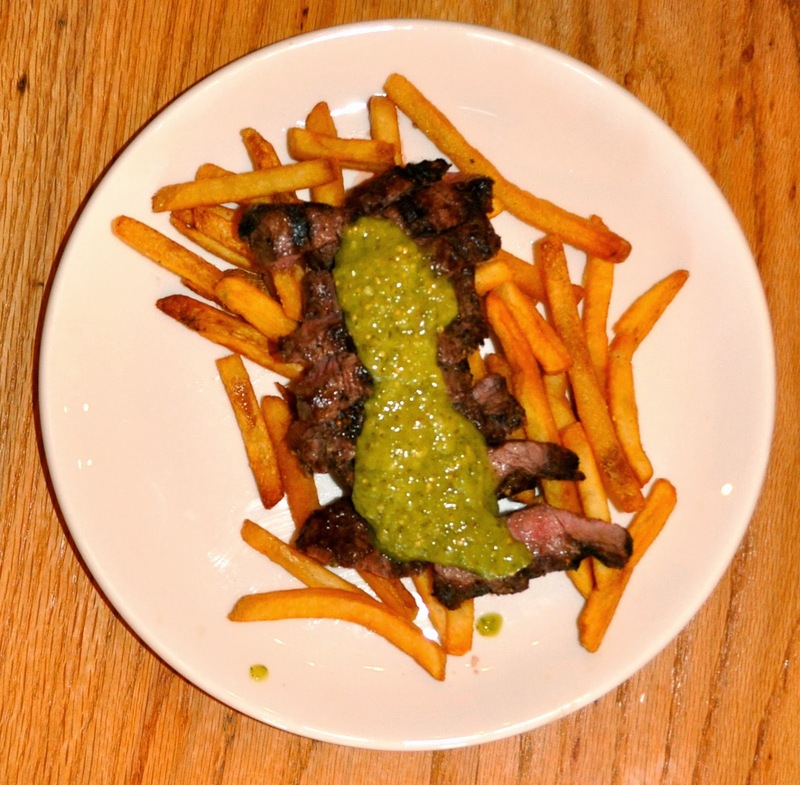 A couple of the boys got the Steak Frittes, which were described on the menu as Grilled Flat Iron Steak topped with Avocado Salsa Verde. The sauce was delicious, but some of the guys forgot they didn't like avocado, so I saw them scraping the sauce off the meat. Teresa and I both went with the Red Snapper Tacos with Red Pepper-Carrot Slaw, Avocado, Cilantro, Chipotle Aioli and served with Smoked Paprika Chips. The tacos were wonderful and the fish was perfectly cooked! Are you really surprised I ordered a fish taco? Finally, JD couldn't resist the Frog Legs. When we asked our server about them he said, "Imagine the most tender, falling off the bone chicken and that is what they taste like." JD concurred. He loved them! They came sitting in a puddle of some kind of white sauce. I'm not sure what it was, but it was very citrusy and JD loved it, too. Acre was wonderful and we will definitely be back. 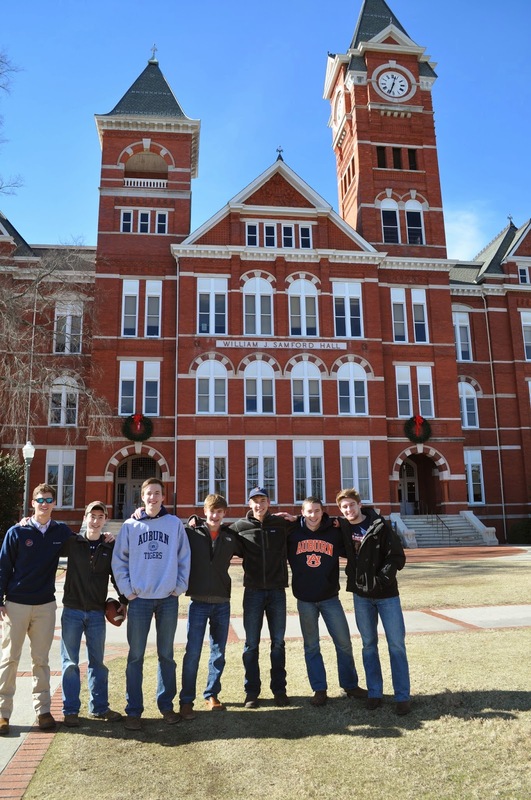 Our visit to Auburn was lots of fun, even if we didn't bring home the crystal ball.